Get expert relief for foot and ankle problems. ProHealth Foot & Ankle Surgeons provide comprehensive care and treatment options for a wide variety of conditions affecting the feet, ankles and lower extremities. 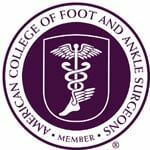 With convenient locations in Manhattan, Queens and Long Island, ProHealth Foot & Ankle Surgeons has a team of highly trained podiatric physicians, surgeons and staff members who work closely with patients to provide the highest quality care and cultivate a safe, comfortable environment. At ProHealth Foot & Ankle Surgeons our patients are our first priority. We are committed to delivering outstanding clinical care, research and education, and service to the New York City and Long Island communities. Our experienced and knowledgeable staff is waiting to help you achieve relief with premier patient care. Meet our team now. Learn about your first visit and the treatment options available to you through resources in our patient offices now. Let us help you eliminate pain and overcome injury with our reputable patient care. Learn more about your treatment options now. Our doctors work closely with the Weill Cornell Medical Center to offer the Program for Advanced Limb Preservation that specializes in treating patients with diabetes and vascular disease. Visit the Limb Preservation Center to learn more about treatment. abnormally short metatarsal bones of the foot. Visit the Center to learn more. Contact our offices now to learn about insurances we accept, further patient education, and more. "We are happy to announce that starting September 8, 2018 Dr. Mercado will be working Saturday mornings at Gramercy Park office. Hours for now will be 9:00 AM- 12:00 PM every other Saturday."